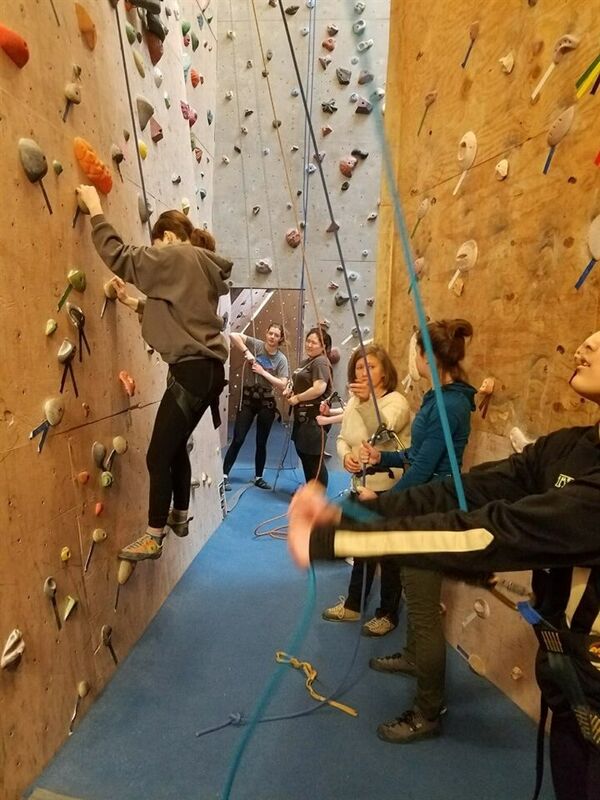 Recently, students joined a weekend trip to climb at the Milton Rock Gym, an indoor climbing gym in Milton, Pennsylvania. 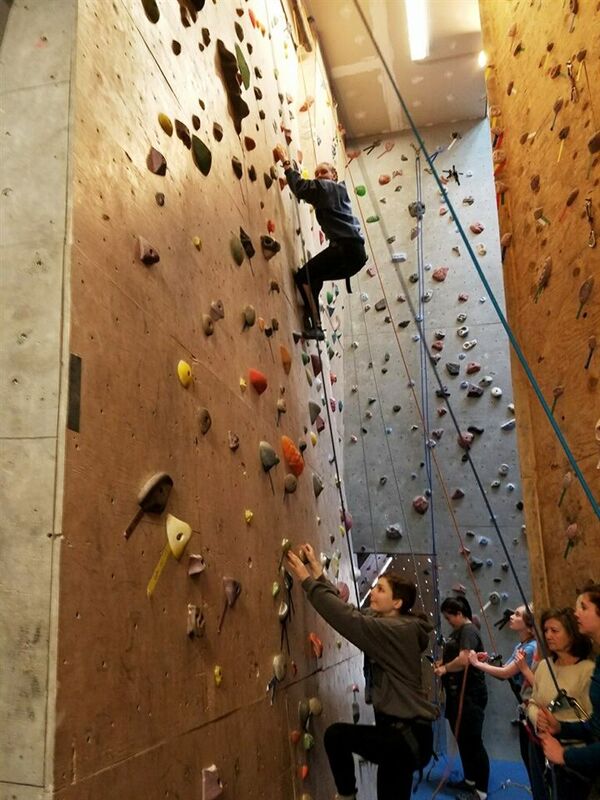 Students were guided and chaperoned by experienced climber, English teacher Mr. Tony Lang. 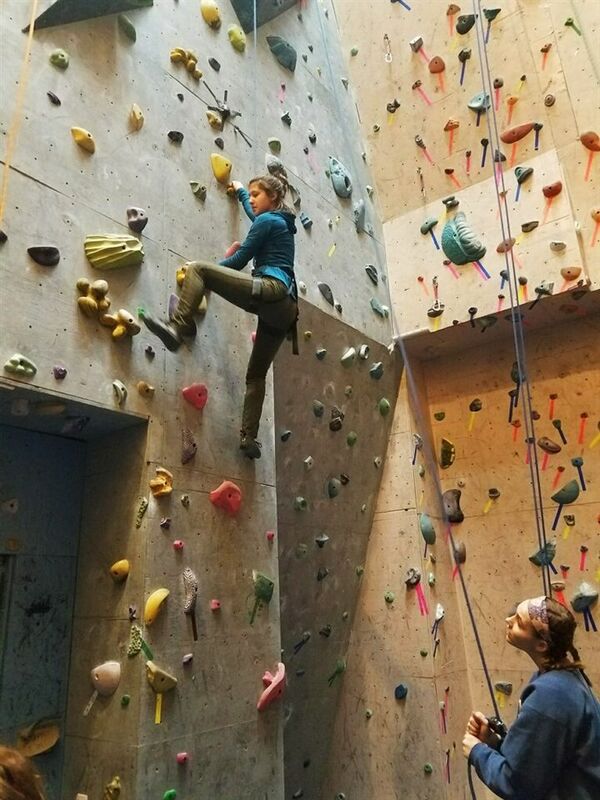 For some students, this was their first time climbing, while others were more experienced. 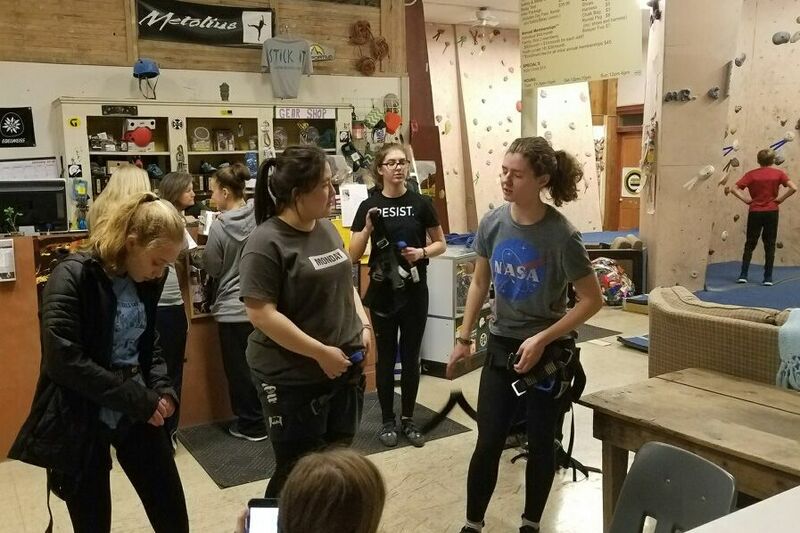 Climbers first attended an orientation class during which they climbed as they learned, using harnesses, climbing shoes, and other equipment provided by the gym. 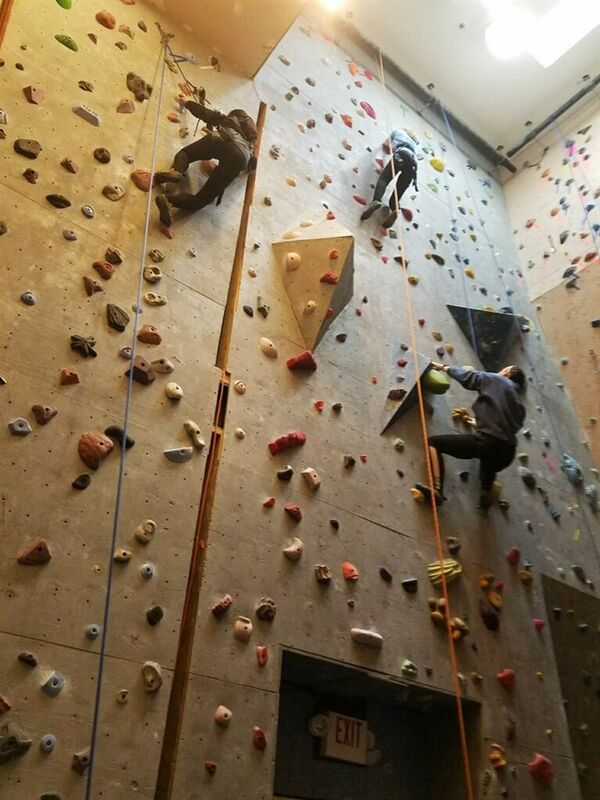 Following the orientation, climbers enjoyed climbing until they became too tired to climb any more. 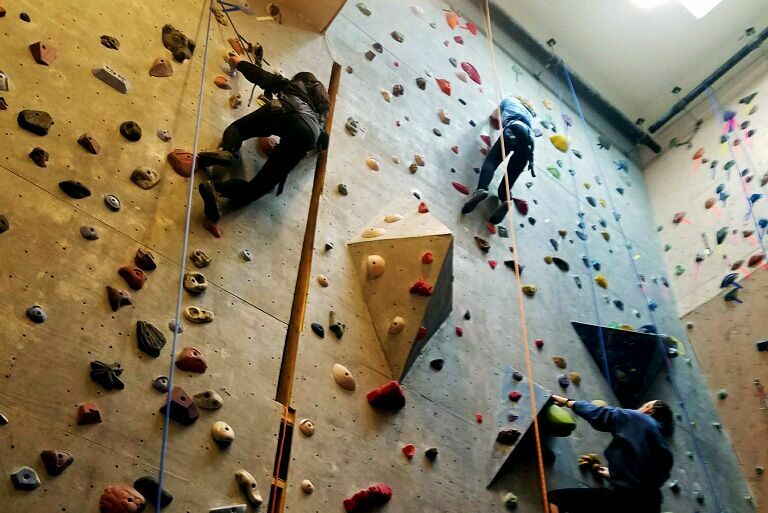 Students scale the wall at the Milton Gym. Reaching around a corner for a hold. Suiting up for climbing and putting on harnesses. 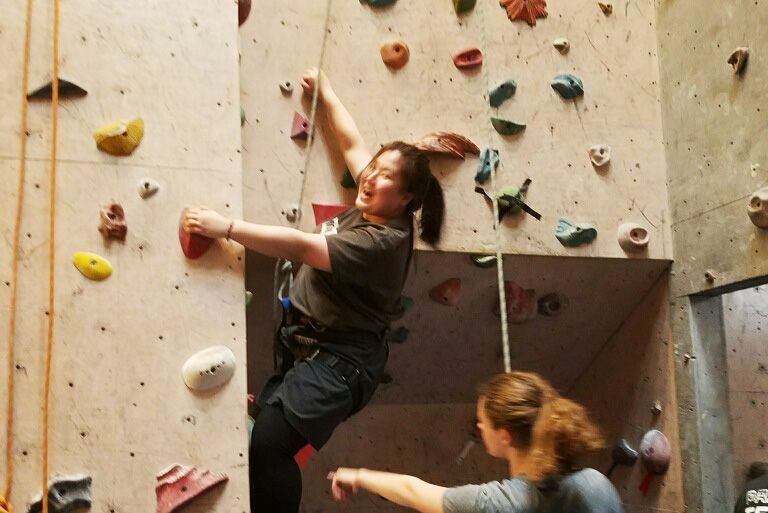 Students learned to climb and belay for each other. 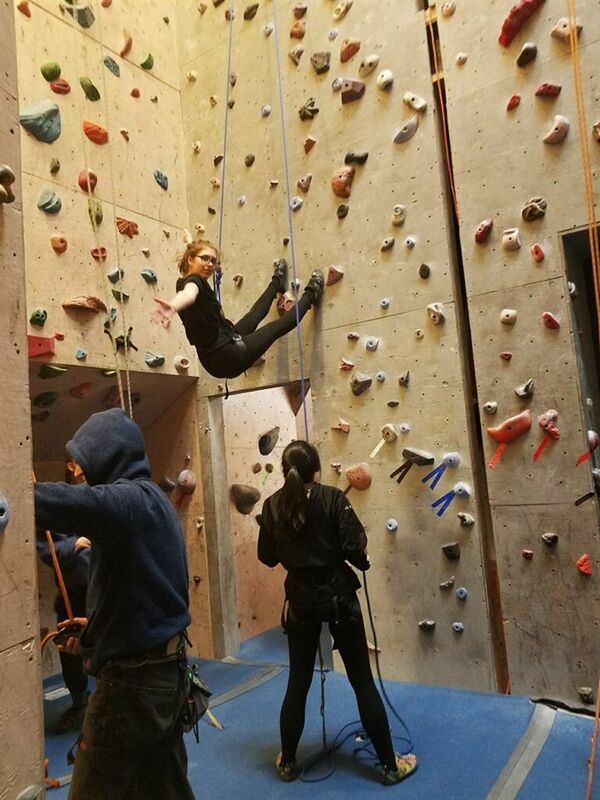 Making her way up the wall. Grace looks for a spot for her left foot.